These 3-on-a-page manual checks are both a payroll and disbursement check rolled into one. 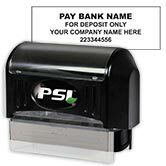 That makes our Payroll Checks a convenient option when it comes to ordering business checks online. These manual checks have plenty of space for recording the breakdown of deductions and other payroll information. Employees can keep track of it all with detachable stubs! 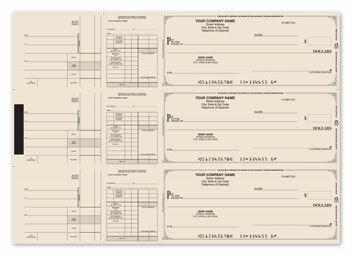 Order Payroll Checks today and start taking care of business! A 7 ring check binder is not included with your 3-on-a-page checks, but you can easily add one to your order. You can also order one of our Business Check Kits and get everything you need to get started.